I am in a mixed media swap on Two Peas in a Bucket (scrapbook forum). I have done the felt pumpkins for the Halloween group. The leaves are for Fall group. 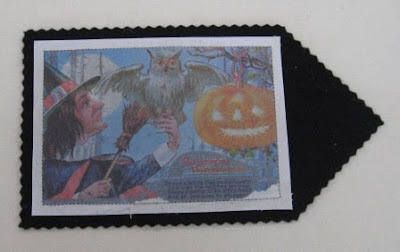 The two tags with felt and batting as backing are for Vintage Halloween. I have used vintage postcards and photo transfer to get the image on fabric. I needed to reverse the image on the computer before printing so it would come out correct. I used a method I like with Gel Medium. I am thinking of writting up more about how I do the photo transfers. 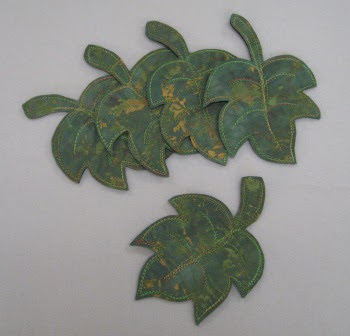 The leaves are hand dyed fabric and craft felt quilted and then some paint added. Wow! These look amazing! 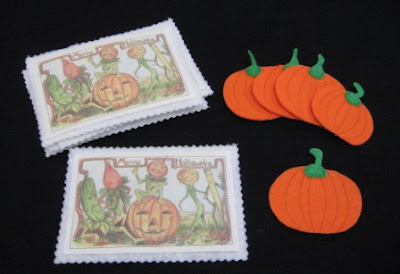 I really love the vintage post card on the fabric! Gorgeous!